 Welcome to the Department of Education at Gordon College! Most of you reading these pages are first year students entering Gordon—and about to make your first choices about what courses to take. These notes should help you think things through. Each major can be completed in a four-year college program even if you take a semester abroad. Upon completing the Gordon Education program, you will graduate with a license to teach. Along with your Education major, you may choose a second major or minor such as English, a foreign language, Bible, or science to name only a few choices. Having two majors is valuable. A liberal arts major allows mobility within the field of teaching or even a possible career change. For example, if you choose English and Elementary Education as majors, in several years you may decide you want to teach high school English or choose to write for a textbook company. Although you may not be thinking you want to do this now, it is wise to take advantage of options during your college years so that you get the most for your academic and financial investments. Your major courses should be spread out over all four years—most students begin taking these courses in the spring of their freshman year. Gordon’s “core” (or general education) requirements are as important a part of your education as your major. All Gordon students must take these courses, and many students register for mostly core in the first year, with only one or two major courses mixed in. That’s fine! It’s actually good to have a little seasoning and college experience before you push deep into your major. Early Childhood and Elementary Education majors will take specified core courses that meet the requirements of both your Education major. ANYTHING ELSE I SHOULD DO NOW? If you have had three or more years of a foreign language, register for the Foreign Language Placement Test on Blackboard GC 101 (student login required). Click on the Foreign Language button. Check the orientation schedule for the exact time and location of a meeting with Education Department faculty, on the Monday morning before classes begin. At this meeting, we first gather as a group for an information session about the Department and our majors. You then meet individually with your faculty advisor to fine-tune your registration. At that meeting, any problems with your pre-registration are sorted out and your registration is finalized. It will be good to meet you that day, if not before!